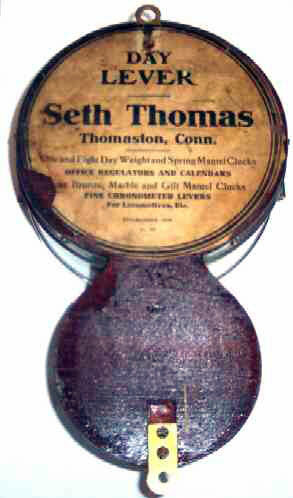 Presented here, an absolutely pristine Seth Thomas Outside Bell Ship's Clock. Original nickle finish is in outstanding condition. The face of the clock is evenly toned and is in excellent condition. The area on the right that appears to be darker is a trick the camera is playing, perhaps a reflection from the flash. 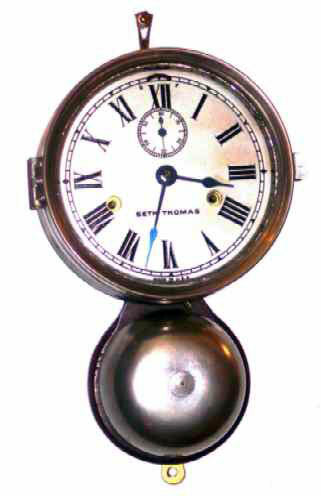 This is the second model made, c. 1880's, and has a hinged, non flared bezel. (The first model had a twist bezel.) It has an engraved cast brass silver plate face with the numbers recessed into the plate. This is the finest example we have had the pleasure to present.